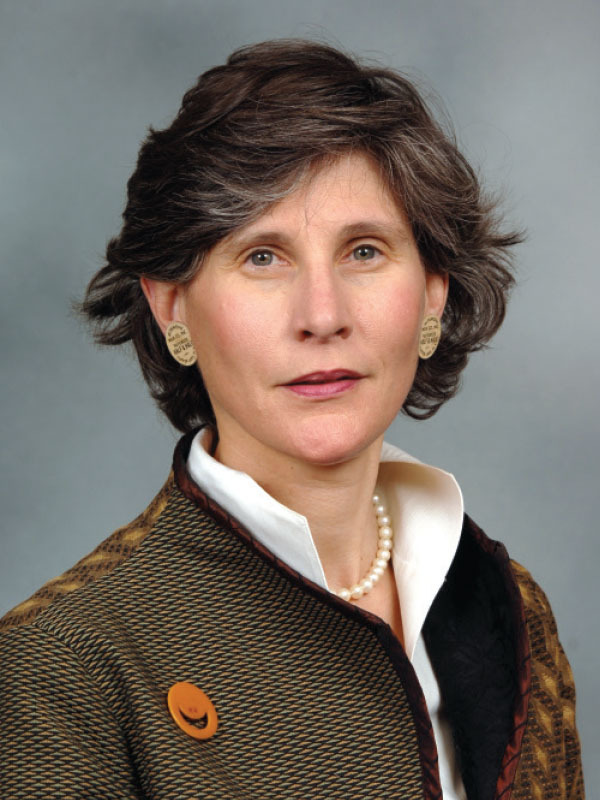 Emme Deland is senior vice president for strategy at New York–Presbyterian Hospital, an academic medical center (AMC) affiliated with Columbia University’s College of Physicians and Surgeons and the Weill Cornell Medical College. In her role, Deland is responsible for developing the organization’s strategic road map for its response to health-care reform. In this interview with Business Officer, Deland draws comparisons between the challenges and changes facing both the health-care and higher education sectors. Deland is a featured speaker at the NACUBO 2015 Annual Meeting in Nashville. What are the biggest similarities between health care and higher education? We’re both in very people-driven fields, meaning that personnel costs make up a very significant part of our budgets. We both also must address the needs of specialists within their workforce—physicians in health care, and professors in higher education—and balance their demands with the expectations of administration and board members. Many of the external expectations placed on our industries involve issues not directly related to medicine or to education. For instance, social and environmental factors such as housing and poverty drive about 60 percent of a person’s health—and these are things over which we, as health-care providers, have no control. One positive development in health care has been the shift from designing space in our facilities according to physician needs toward designing space with the patient in mind. Our medical centers have become much more conscious of the patient experience than they were 30 years ago, much like college and university campuses and facilities are now much more focused on the student experience. The list goes on. Whether it’s federal financial aid in education, or insurance in health care, both sectors rely on third-party payers, and this can distort market performance and expectations. Yet, we both must address the demands of a real marketplace, even as many Americans consider what we provide a social good. Finally, I think that health care and education both suffer from an inability to fully identify and communicate what constitutes quality within our respective industries. What do you think characterizes quality health care or quality education? The goal in health care is to measure quality based on value-related outcomes, but almost everything that we measure today relates to process. Financial performance isn’t quality, and the rate of hospital readmission is not quality. What we really need to look at are quality-of-life measures like long-term patient mobility. Similarly, in education, we hear about graduation rates, or performance on standardized tests, but do these really correlate with the quality of the education that a student receives? Part of the challenge is not only defining quality, but also deciding who is responsible for those outcomes. There is no question that in health care we have not done a great job of looking across the continuum of care and figuring out each provider’s role—not to mention each patient’s role—in achieving those outcomes. At the same time, we’ve been much more focused on the short-term episode of illness rather than looking at longer-term prevention. Shouldn’t quality care mean making sure you don’t get sick in the first place? What has been the cause for this shorter-term view? Until recently, the business model for academic medical centers has been driven by variables related to volume, such as length of hospital stay and capital investments in buildings and IT. While we talk a lot about the shift from volume and fee-for-service to value, we are very much at the beginning of the transition to a model based on quality and long-term patient care. One of the first things we need to do is to have [access to] the information we need to provide the right care and make the right decisions. As an industry, we are trying to develop the clinical databases we need to measure outcomes, control costs, and improve care. Adoption of electronic health records has generated an enormous amount of data, but right now it is data only, not information. Our great challenge is to develop data governance that will take all the data we have and make it really useful. Your hospital operates a number of smaller hospitals and ambulatory facilities throughout the New York metro area. What has been the catalyst for this? On one hand, this kind of growth strategy provides an opportunity to serve more of the community and to remain ahead of our competition, which is also growing. More recently though, I think the expansion is driven as much, if not more, by a recognition that we must respond to the shift toward managing the health of an entire population. That requires taking a holistic view of patient care, coordinating care across the entire continuum, and offering patients multiple access points. This expansion offers us the scope and scale necessary to do that. A key issue in higher education is cost containment. How is health care as a sector engaged in this issue? There are two ways to engage in managing health-care costs. The first is from the patient side, the demand side. As a nation, we continue to spend 80 percent of our health-care dollars on 20 percent of people, most of whom have major chronic illness and disease. This is something we as an industry and as a country have to get under control. The good news is that there is a real opportunity to design a health-care system that can better address the needs of that 20 percent across a continuum of care that tries to keep people healthy and at home, rather than resorting to frequent trips to the emergency room or requiring lots of inpatient care. However, we can’t forget the other 80 percent of patients. As we develop a patient-centered health-care model, we need to figure out how to cost-effectively deliver appropriate care to all who need it. The other side of costs is the supply side. Providers all across the country are looking at cutting costs and making operations more efficient. At New York–Presbyterian, we are making concerted efforts to help our physicians understand what they can do to reduce costs. In some cases, we are sending our physician leaders to executive training programs so they understand all the key variables critical to economic survival. We’re having conversations with our physicians about eliminating duplicative testing, and working closely with them to achieve consensus around certain preference items in the operating room and to identify lower-cost substitutes when appropriate—leading to tens of millions of dollars in annual savings. What do you see 20 years from now for higher education in terms of its response to a changing demographic and marketplace? While I do see the trend in health care toward fewer providers and bigger systems, I don’t know whether we’re going to see that same kind of change happen in higher education. Regardless, higher education institutions must have a clear understanding about who they serve. They can’t be everything to everyone. In line with that, institutions of higher learning must identify their strengths and keep the programs and components that make sense and at which they excel. Third, they really need to look at what technology will bring to their programs and processes. For education, this includes finding the balance between the social face-to-face classroom learning among peers and online education, and understanding the implications for how students learn in each context. In health care, telemedicine probably isn’t going to save a lot of money, but it can save significant time for patients and caregivers alike. That said, I think both sectors face an unknown about what we can optimize via the Internet that still provides a community and a society that functions at its best. Similarly, what’s the future of academic medicine? I find it fascinating that when we see something emerge like the recent Ebola crisis, all the centers we looked to as a nation for treatment and response are academic medical centers—showing that we are capable not only of providing care to the indigent but are still on the cutting edge of care. AMCs truly represent the jewels in the crown of our health-care system. To your question, I think many of our AMCs will become the hubs of larger systems, while others may come to exist solely as referral centers. Regardless, we will still provide the essential core for training students and performing important clinical and basic research. But, as we begin to have serious conversations in this country about death and dying, and about our chronically ill patients and how to better manage their care, we have to be extremely responsible with regard to cost. We also need to demonstrate a commitment to quality and value if we want to preserve our role. None of this is going to occur without painful accountability. Despite the fact that I don’t like to say it, health care is a business, and AMCs must find their niche in this new marketplace like everyone else. RANDY ROBERSON is director, member engagement, NACUBO. While I do see the trend in health care toward fewer providers and bigger systems, I don’t know whether we’re going to see that same kind of change happen in higher education. Regardless, higher education institutions must have a clear understanding about who they serve.